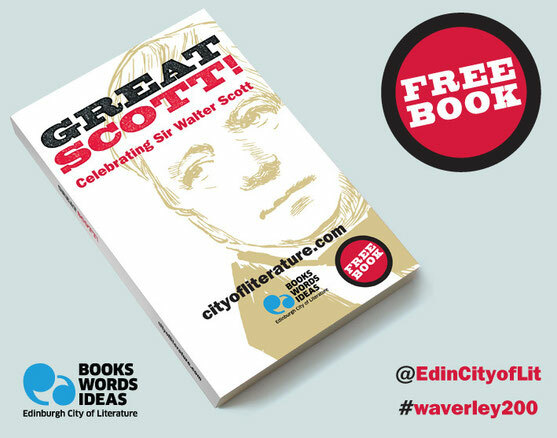 Red Axe, with Waverley Books, designed this new book, part of the award-winning campaign, developed by Edinburgh UNESCO City of Literature Trust, to celebrate the 200th anniversary of the publication of Sir Walter Scott's novel WAVERLEY, and to mark the 10th anniversary of Edinburgh’s designation as the world’s first UNESCO City of Literature. As part of this campaign, 25,000 copies of this free book – GREAT SCOTT! – were given away in Waverley Station, Edinburgh. Telling the story of Scott’s incredible life, the pocket-book includes a timeline, quotes and musings and gives tips on things to see, read and do relating to Scott. The book and campaign celebrate the life and work of one of the world’s most famous writers who was a major celebrity in his time and continues to influence writers today.